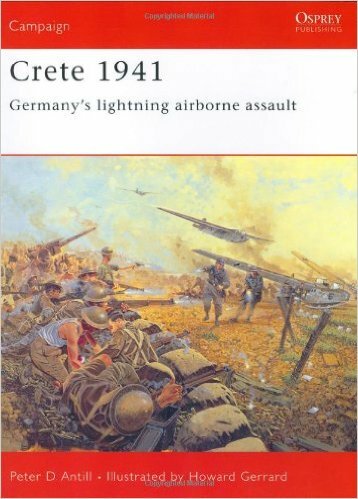 Osprey's study of Operation Mercury, the German airborne assault on the island of Crete in May 1941 during World War II (1939-1945), which was the first strategic use of airborne forces in history. The assault began on 20 May, with landings near the island's key airports, and reinforcements the next day allowed the German forces to capture one end of the runway at Maleme. By 24 May, the Germans were being reinforced by air on a huge scale and on 1 June Crete surrendered. This book describes how desperately close the battle had been and explains how German losses so shocked the Führer that he never again authorised a major airborne operation.